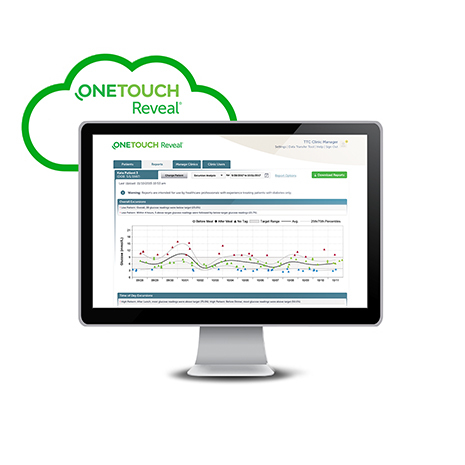 The OneTouch Reveal® mobile and web apps use a cloud-based patient-engagement ecosystem to link patients and healthcare professionals. An engaging coaching experience, sponsored by health plans and employers for their patients with Type 2 diabetes. 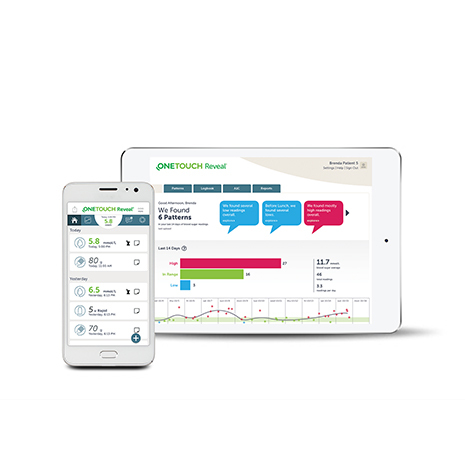 The OneTouch Reveal® mobile and web apps help patients see more than just numbers between visits. 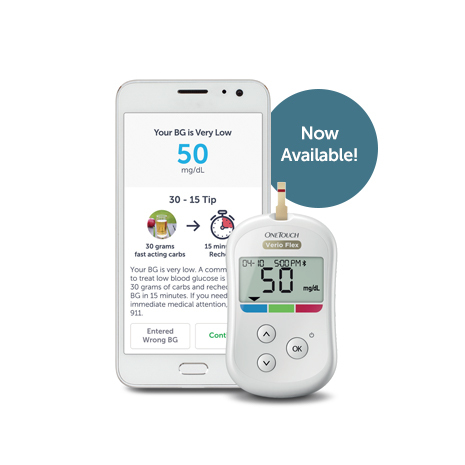 An in-app coaching experience that guides patients to achieve diabetes control in partnership with their care team.